Now Ashaki is 18. He just graduated from high school and is on his way to a five-year applied physics and engineering program that will begin at State University of New York at Geneseo and, if all goes according to plan, end at Columbia University. About two miles away from Ashaki’s school in Ozone Park, Queens, Nasiah Johnson is pursuing a similar path. In the fall, he’ll be off to study engineering at State University of New York at Buffalo. A lot of other high school students, Nasiah said, “are not thinking long-term.” But Nasiah clearly is. Also 18, he’s been interested in engineering since he took robotics in middle school and set out to attend a high school he thought might help him reach that goal. Both young men have spent their high school years in vocational programs that combine advanced academic courses with classes that might focus on the intricacies of electricity on a subway car, building a model frame home, or programming a computer-controlled model ski lift. And for many, including Nasiah and Ashaki, internships enabled them to master some skills and see what their chosen career really looks like. Neither Ashaki nor Nasiah fits the stereotype of a vocational student who leaves 12th grade with mediocre academic skills, picks up a wrench and never returns to a classroom. But beyond that, their experiences have been quite different. Ashaki has attended the High School for Construction Trades, Engineering and Architecture, one in a new wave of career schools in New York City. Construction Trades has a glossy modern building and a diverse student body. Its four-year graduation rate last year was 95 percent. Nasiah is graduating from Transit Tech Career and Technical Education High School, which began as an old-fashioned vocational high school in the early 20th century. Since the mid-1980s, it has prepared students for careers in the city subway system and Amtrak and now also readies them for technology work, including positions on Best Buy’s Geek Squad. Construction Trades and Transit Tech are at the center of a transformation in what used to be called vocational education. Once viewed as an educational backwater or a dumping ground for poor students, it is now “career and technical education,” or CTE — aimed at giving all types of students the training they’ll need for technology-driven jobs and to meet employers’ needs for skilled workers. To succeed in these fields, proponents of CTE say, many, if not most, students will need to continue their educations after 12th grade. CTE is public education’s response to the economic fallout that accompanied the country’s loss of well-paying blue-collar work. At high schools like Construction Trades and Transit Tech, all students are enrolled in a career program offering a full curriculum of classes and work-based learning in a specific field, such as auto mechanics or information technology. Many more schools around the country offer career programs alongside full-time academics, with some students moving back and forth between them. New York City operates 318 career programs scattered among 127 public high schools. Clearly, the mission of career education has changed, from giving a marketable skill to kids who are not college-bound to preparing students for college as well as the workplace. Some schools seek to qualify students for national certification in specific technical disciplines so they can find jobs more easily and perhaps earn money for college. Programs include old mainstays like carpentry and auto mechanics but now also biotechnology, health professions and computer networking. As these programs become more ambitious, they face daunting challenges. Schools old and new struggle to remain current and to attract and keep teachers who must have experience in their fields and teaching credentials. Educators often find the day is too short — and four years not enough time — to give students a solid academic grounding while training them for a possible career. Foreign language and art classes are virtually non-existent. But Transit Tech faces other issues that its newer counterpart does not. While Construction Trades has seen itself largely as a college preparatory school since opening in 2006, Transit Tech has worked hard to keep up with changes in career education, dramatically revising its curriculum and career offerings. It has added technology programs and now requires all students to take a computer course and more demanding math and science classes. It has made significant strides in the past two years, but still struggles to attract applicants and address the needs of students with a wide range of academic interests and skills. And Principal Marlon Bynum says he must also confront a lingering perception among some parents and others that schools training students for particular fields are low performing. “The challenge we face is the perception of the fields themselves,” he said. 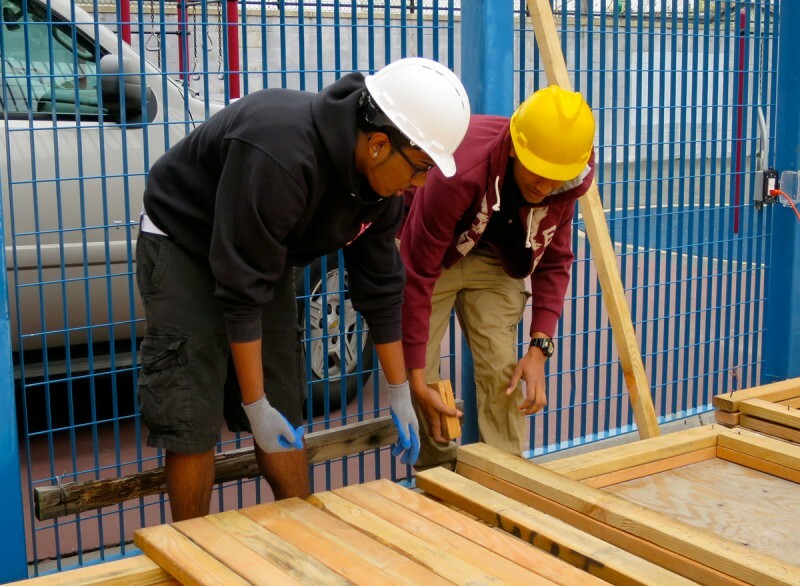 On a spring day at Construction Trades, in a neighborhood of modest row houses that is a haven for immigrants from around the world, juniors in a construction class measured, sawed and hammered to erect eight-foot external walls for model houses. Architecture students designed dream homes for staff members who pretended to have just won $5 million. The ideas could be fanciful — the assistant principal wanted his to resemble Starship Enterprise from “Star Trek” — but the houses had to meet zoning rules and building codes and not exceed the budget. Studies have found that participation in a CTE program increases the likelihood that students, particularly boys, will graduate from high school. According to a 2014 report, students in New York City CTE schools created between 2004 and 2008, including Construction Trades, were 18 percentage points more likely to graduate than their peers in non-CTE schools. The study found, though, that the results were not as strong for college-readiness or college attendance. For the class of 2011, 44 percent of graduates of CTE schools were enrolled in post-secondary education six months after graduation compared with 53 percent of students who attended other schools. Nationally, about 78 percent of students in vocational education programs go on to full-time post-secondary education within two years, a national consortium has found. Construction Trades is one of 33 career training schools the city has launched since 2003. It was founded as an architecture school but added construction as part of a city initiative to address a shortage of skilled workers in the building trades. Since its opening, it has emerged as a desirable school with the number of applicants exceeding available slots. The city education department selects students based on their middle school grades, seventh-grade standardized tests scores and attendance records. Of the 957 students — around 70 percent of whom are boys — about 35 percent each are Hispanic or Asian, with the remainder divided fairly evenly divided between blacks and whites. Students, who arrive at a proficiency level somewhat above the city average, start shop classes as freshmen. Related: What if a high school diploma guaranteed a highly paid job? In Ashaki’s senior engineering class, students worked in small groups on their final projects. Three boys developed specs for a solar phone battery charger, while two others sketched plans for a weatherproof basketball. Three girls created an eyebrow stencil and ointment for removing excess hairs. Ashaki and a classmate worked on a baseball cap with sunglasses to appeal to fishermen and golfers in hot, sunny places. Ashaki’s plan was in the works even before he came to Construction Trades. No one in his family is an engineer, but his grandfather was a steelworker in Florida who worked on bridges and told him how things are built. While he was in middle school at a Brooklyn charter, he attended a high school fair and was struck by the Construction Trades’ presentation and its classes in engineering, architecture and construction. “What could be better than that?” he remembers thinking. He said he arrived at Construction Trades feeling prepared academically, but the school offered “endless opportunities to get my mind going.” He interned at a construction management company, took Advanced Placement classes and on some days left home in Locust Manor, another Queens neighborhood, at around 6 a.m. to arrive at school in time for a college-credit statistics class that started an hour later. Graduating as student body president, Ashaki plans to return this summer to help the school upgrade its weight room. Transit Tech has had several names, operated at different locations and focused on various careers in its 100-year history. It is now located in a sprawling, drab four-story building built in the 1940s on the site of what had been a reservoir pumping station in a low-income Brooklyn neighborhood that is largely black and Latino. With the metropolitan area facing a shortage of rail workers in the mid-1980s, the school emerged as the High School of Transit Technology in 1986, and its relationships with transit agencies continue. 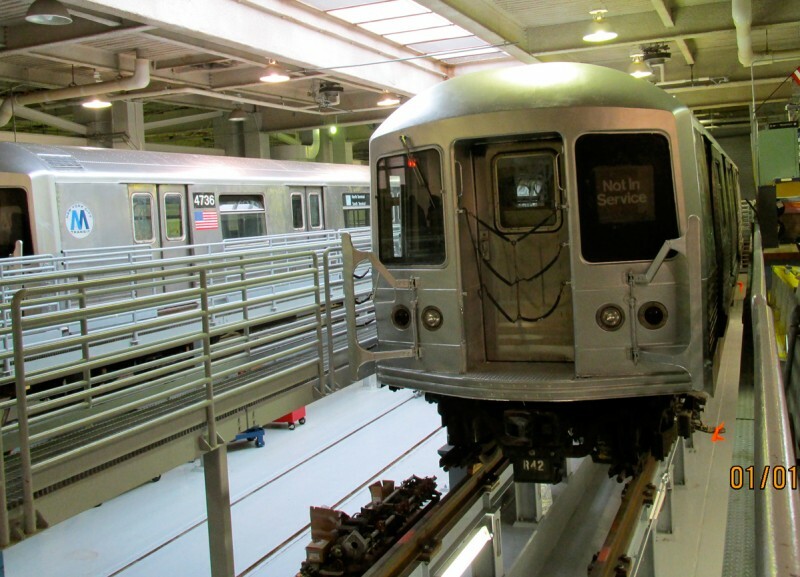 In a vast shop room, two subway cars sit on elevated tracks supported by massive metal beams. Students walk under and around the cars as they seek to master the skills they will need to work for the transit system or elsewhere. But the subway cars no longer define Transit Tech. 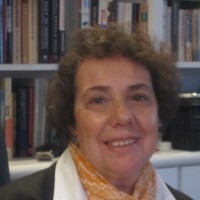 Principal Bynum, a product of New York City public schools who presided over the closing of another Brooklyn high school, arrived as principal in the fall of 2013. At the same time, Sam Ahmed, a Transit Tech computer science instructor, became assistant principal for CTE programs. Since then, the school has made substantial changes aimed at attracting more students and beefing up both academic performance and career education. It has bolstered technology training, scrapped a program that prepared students for almost non-existent manufacturing jobs and boosted college readiness efforts. Administrators and teachers at Transit Tech monitor all 1,095 students in the hopes of catching academic struggles and discipline problems early. Tutoring and Saturday classes are available. The staff tries to use shop classes, which tend to engage students more than traditional academic subjects, to reinforce academic lessons, particularly in math. Bynum said the school has a good record of bringing low-performing students up to grade level in English. Math has been more of a struggle, a concern since so many trades require strong math skills. Bynum has introduced an engineering and design class for all ninth-graders and is requiring all tenth-graders to take trigonometry, physics and computer classes. Lorna Hutson-McKoy, who teaches engineering and design, said her class can prove difficult for some freshmen who don’t know what a diameter is but she thinks the class helps them. “They’ve learned the whole idea of design and the whole idea of engineering is to look outside the box,” she said. Despite the college emphasis, some Transit Tech students go directly into the workforce and into jobs unrelated to transportation. Graduates of the computer programs have found jobs on Best Buy’s Geek Squad and as entry-level technical staff at Apple stores. To go further in the computer field, though, most will need more training — if not college, at least certification in specific technologies like the iPhone, said Ahmed, the assistant principal. While numbers are not available, over the years many students have apprenticed at the Metropolitan Transportation Authority, which runs New York City’s subways. This year the agency arranged for some seniors to take the electrical helpers exam leading directly to full-time employment. The starting salary for such jobs is more than $40,000 with benefits, increasing to the low $50,000s after two years. But Smith said the emphasis on college readiness for most career students has adversely affected the quality of shop classes. “At the end of the day, it’s not reality,” he said. Partly in response to such concerns, New York State has tweaked its graduation requirements to allow students to substitute a CTE assessment from a number of fields, including information technology and electronics, for one of the five Regents exams that had been required for a diploma. Transit Tech students once had four periods of shop a day, then three and now two. “The biggest challenge is time. Our teachers are pulled and spread thin,” Ahmed said. 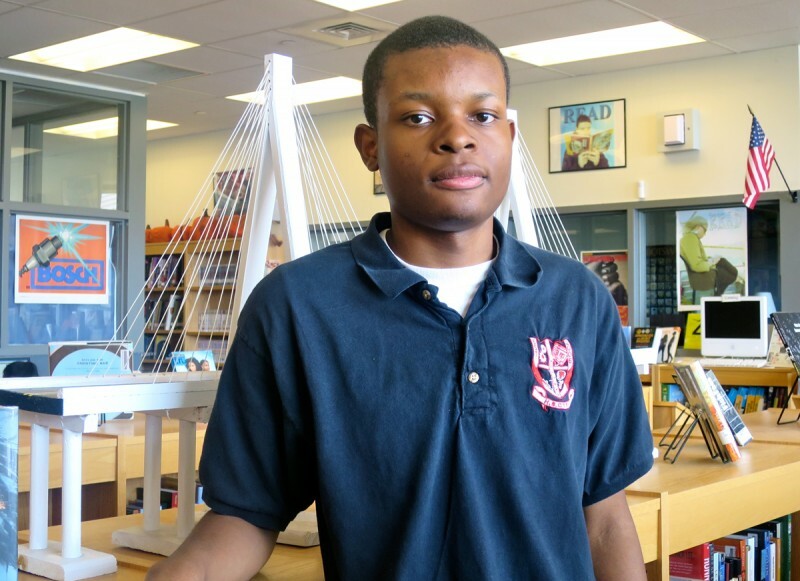 Nasiah Johnson came to Transit Tech after missing the admissions cutoff to one of the city’s top academic high schools. He decided to look at vocational schools and found his way to Transit. He was aware of the school because his father does electrical work and had attended evening classes there. “I wanted to be like my dad and become an electrician, and I knew this school offered electrical courses,” he said. Even though he had some familiarity with electrical work, he said he benefitted from the shop classes. “I was able to watch my dad and see what he did but I never understood the math or science behind it,” he said. 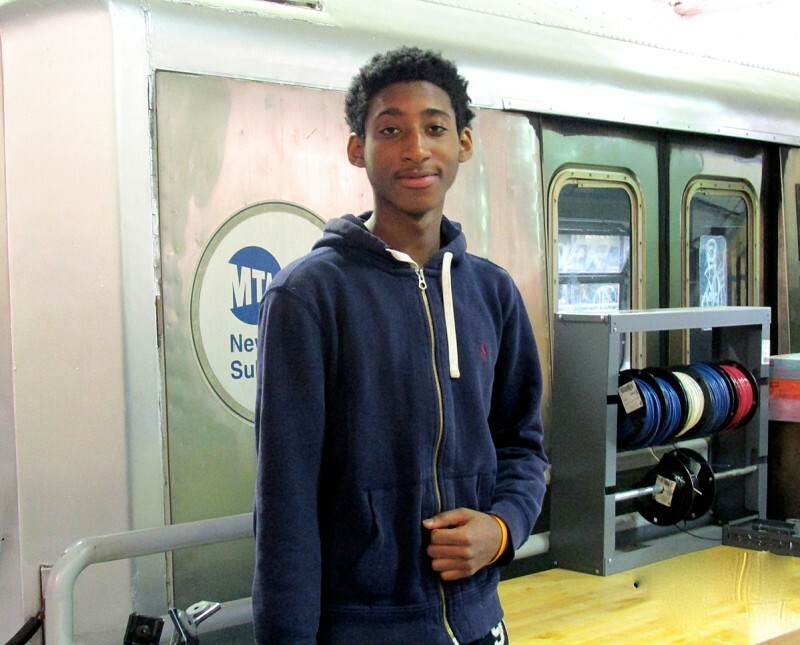 Not all Transit Tech students have been able to fit internships into their schedules, but last year Nasiah interned with New York City’s School Construction Authority. He mostly did paperwork but said he learned from working with a man who reviewed building plans. “Even though I wasn’t really doing electrical engineering, I was able to see what the electrical engineers do,” he said. He also has taken Advanced Placement classes and praises many of his teachers, but still would have liked more rigorous academics. Can we really prepare kids for both college and career? What if a high school diploma guaranteed a highly paid job? How do you fix America’s high schools? We’re going to find out.